Dutch artist Hugo Brouwer (1913-1986) studied at the Royal Academy of Art in The Hague, Netherlands. During his career he produced paintings, mosaics, ceramic reliefs and stained glass for both secular and ecclesiastical clients. 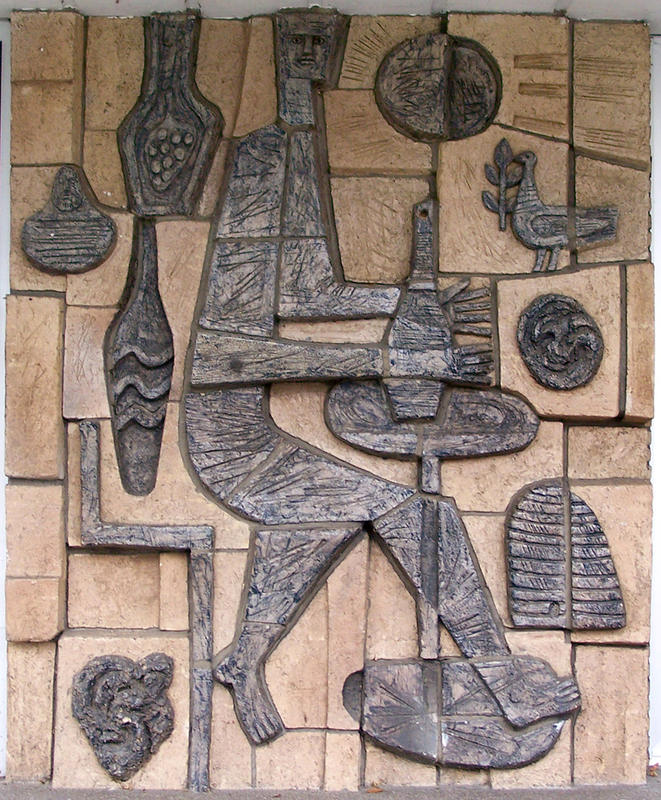 Below are examples of his ceramic reliefs and stained glass windows. 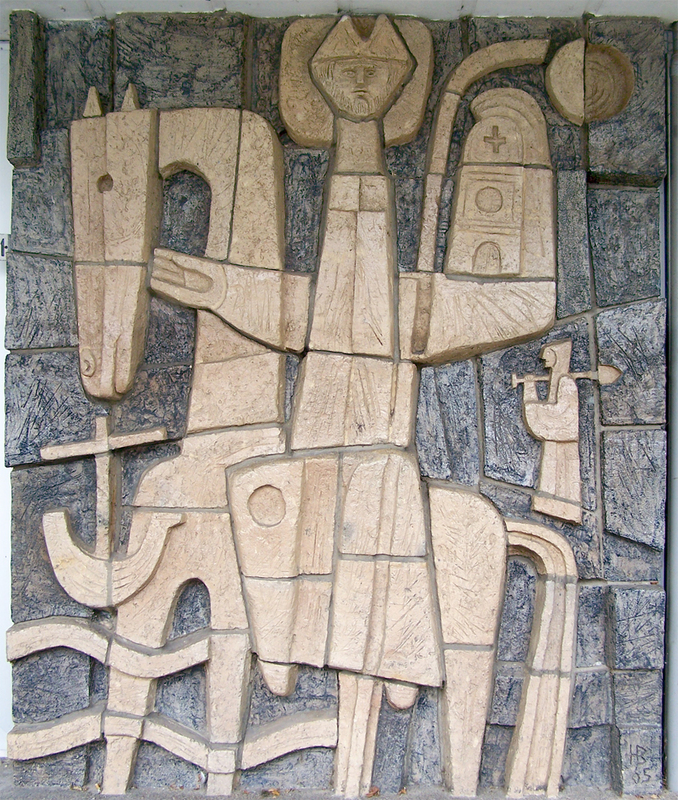 Ceramic relief created in 1965 depicting missionary Willibrord. Petrus Canisius College, the Netherlands. 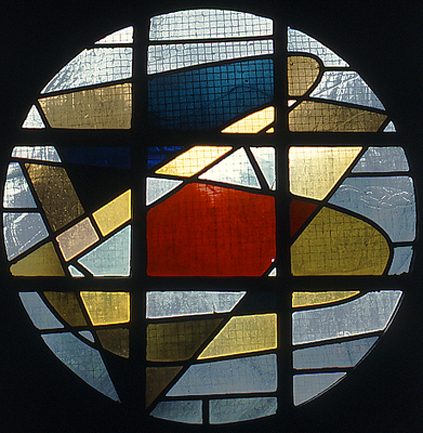 Abstract stained glass windows (c. 1956-1959). Immaculate Heart of Mary Church in Weert, Netherlands. 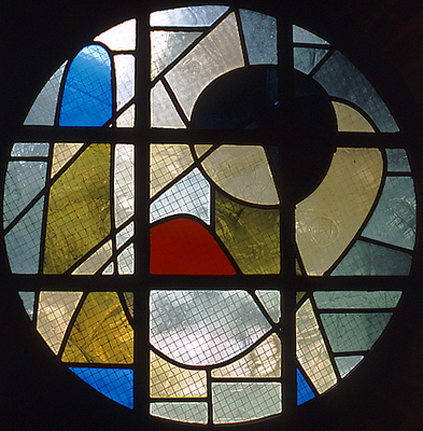 To see more of Hugo Brouwer's stained glass click here.